Today is the beginning of our Church mid-year prayer and fasting. 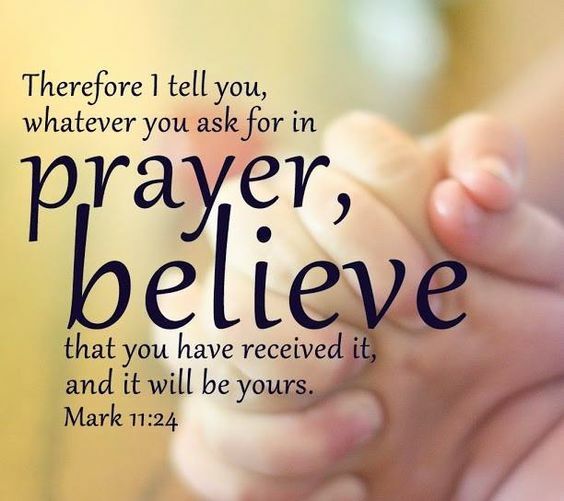 I believe God's promise in Mark 11:24 because God is really faithful. Many of our prayer requests in our previous prayer and fasting have been answered. And once again we are believing for more answered prayers. More blessings to come, not just materially but spiritually. Today I'm praying for spiritual breakthrough for my husband. I pray that he will be more passionate in his relationship with God, total surrender to His will, to have wisdom and deeper understanding of the life of a true follower of Jesus Christ. I also pray for my children to continue to hunger for God, to have the passion in their heart to be used in reaching for the lost. For my daughter to succeed in her chosen career. As for me I pray that I'll be able to disciple more people, to have more vg members that will also have the heart to disciple other people. I pray for my parents and siblings salvation, good health and protection. All these I pray in the mighty name of Jesus Christ. Amen.